For most of us, looking at our data usage history, the new metered plans look like they’ll save us some money. But, let me tell you why there’s more to it than that. First, I’ve heard a lot of people say recently, statements along the lines of “2GB is more data than I’ll ever use.” There was a time when one megabyte (MB, not GB) was a lot of memory, a HUGE amount. There was a time when a 1.5Mbps T1 line was enough for an entire city. And it wasn’t that long ago. Things change. And bandwidth doesn’t change in a steady, linear way – bandwidth needs tend to change in a dramatic stair-step way, when new ideas get popular. One example was the browser, circa 1991. The iPhone itself is a perfect example of this. Within a matter of weeks of the first iPhone’s release, AT&T suddenly found that people were using about 15 times more data. And they’ve been struggling to catch up ever since. The iPad may have been the last straw for AT&T. Shortly after the 3G iPad hit the street, AT&T rescinded their promise from a few months prior to provide unlimited 3G access for $30 a month. Now, on the one hand, there are few services where we pay on an unlimited, all-you-can-eat model, so perhaps, one could argue this is inevitable. On the other hand, an affordable unlimited data plan played a significant role in the success of iPhone and the resulting watershed change in what people expect and how people use their mobile devices. The metered plans AT&T is offering are not completely ridiculous in terms of price, say compared to the rates mobile phone carriers were charging for data prior to iPhone, but the metering alone, at any price, still has a major impact on users… and on the ecosystem. With an unlimited plan, nobody looks at the bill. Nobody checks usage. Nobody thinks twice before clicking ‘Go’. For AT&T, that may be exactly the opposite of what they want (or think they want) – but for the industry and the ecosystem at large, it’s a good thing – a very good thing. In the end, as part of that ecosystem, it’s good for AT&T too. Come on. Where would AT&T be without the iPhone? And beyond just the iPhone, AT&T is benefiting from the entire wave it has spawned, including Android and every other so-called iPhone-killer now available, and all those to follow. The average monthly charge for all these “annoying” customers using these new phones is way higher than before, when people just had a voice plan and minimum texting. 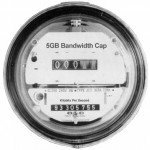 By moving to these metered rates, AT&T is potentially slowing the kinds of innovations that gave us the web, and the iPhone – innovations that AT&T themselves has benefited immensely from, to the tune of billions of dollars. Beyond the affect on end-users, an even bigger factor is the effect on developers. As important as any technical aspect of iPhone’s success was a business factor – the thing that caused a major change in the landscape was universal unlimited data being bundled with the phone. Before iPhone (and still true in many cases with other carriers/phones), developers were dealing with an unknown when it came to what data plan a given customer might have, or even if a data plan was available to them at all. This severely stifled the ecosystem. 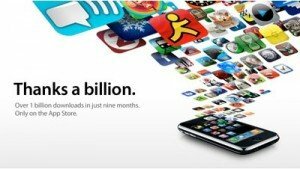 With iPhone, developers knew every single customer had an unlimited data plan – and the result is hundreds of thousands of apps and millions of customized iPhone-specific web sites. So, while many people suggest that AT&T is serving itself well by reverting to metered data plans, in the big picture, AT&T is hurting themselves as much as anyone. When people say things like “2GB is more data than I’ll ever use” this is unconsciously framed within a context of the apps that exist today. It precludes the “next new thing” and assumes a static picture of future cell phone use. Developers have to think twice about building apps that could push users over that limit, meaning such apps won’t be introduced, and we all get stuck in a 2010 world. Thanks AT&T, for shooting yourself in the foot, and hitting us on the ricochet. I’m thinking about turning off my iPhone WiFi for a couple of months. Just so I can see how much bandwidth I really consume on it. Unfortunately, I use it a lot at home via WiFi and that’s much faster than using 3G. Still I retained an unlimited plan on all my phones for even though we aren’t close to the limits I think some things could quickly take us there. The iPad again used a lot at home and about has also changed the data usage on my iPhone. I remain incensed that I can’t share my data plan on my iPhone with my iPad and if I do now with my iPhone4 I have to go to a limited data plan and pay an extra 20 dollars per month. That’s robbery. Now I have the new micro sim I’ve not tried to create a mini sim from it to put back in my Nokia so I can use my hotspot program there. But before long I will… for when I next need it. AT&T needs a complete revamp in terms of how they communicate and do business. That goes right down to the plans. I’m certain that they could accelerate the future if they put their mind to it. Unfortunately, it’s not going to happen any time soon. I’m already regretting buying in for another two years. The other options in the US are just as bad. One of the big problems with the metered service thing in practice for us iPhone users is that if you EVER decide to try one of the metered plans, you can never go back to an unlimited plan.